Nursing is one of the world’s most honorable professions. It is a very difficult job that demands long hours, a pleasant disposition and the ability to manage stressful, sometimes life-and-death situations. But it is a profession that will always be in demand in the healthcare industry. If you want to be hired as a nurse, you need a resume that says you are the best candidate for the job. We have the ideal Nursing resume sample that will cure whatever afflictions your existing resume may have. Hospitals, clinics, and healthcare companies are very particular about the people they employ as nurses. It is not enough to have the educational background, experience, and certification. The character is a big part of becoming a successful and in-demand nurse. These qualifications are clearly identified in our Nursing resume example listed below. Well-experienced, decorated and highly-recommended Nursing Supervisor who has provided care for patients with various levels of need is committed to build a long-term career with a reputable health care institution. Directs all activities of nursing staff members. Schedules the daily tasks of staff members. Handles essential training to new nursing recruits. Ensures that all patients are properly attended to by the nurses. Ensures the cleanliness and upkeep of the hospital premises. Oversees the preparation and timely delivery of meals to patients. Coordinates regularly with doctors and staff. Evaluates performance of nursing staff. Provides timely feedback of performance to nursing staff. Finds ways to improve nursing care facilities. Handled a variety of patient cases from pediatric to geriatric and other areas such as cardiac care, neurology and dermatology. Observed and recorded patient behavior and symptoms. Regularly consulted with doctors and designated healthcare professionals. Helped supervise Licensed Practical Nurses (LPN) and Certified Nurse Assistants (CNA). Conducted emergency medical treatment procedures on victims of heart attacks, strokes, car accidents and burns. Assisted in carrying out physical exams to patients. Took down patient health histories. Administered treatment of wounds and other personalized interventions. Analyzes patient information, discusses findings to patients. Consulted with doctors regarding critical decisions that need to be made. Coordinated with a variety of healthcare professionals. Helped supervise Licensed Practical Nurses (LPN). Conducted research to support patient outcomes. Nursing positions can be quite competitive. 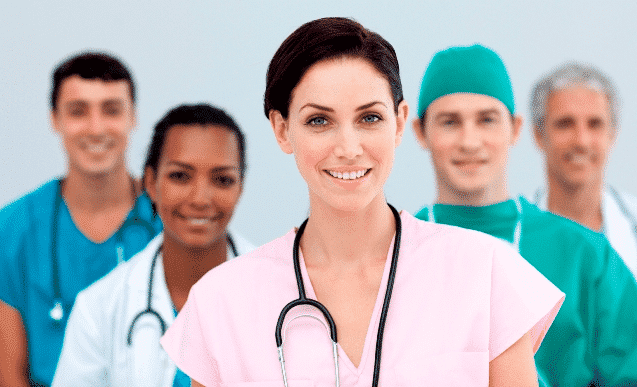 Unlike most jobs where resumes are delivered to the Hiring Manager, in the case of nursing, all applications are first reviewed by Nursing Managers or high-level Nursing directors. The resumes that pass initial screening are then handed over to the Hiring Manager. This is why in our Nursing resume sample we emphasized educational attainment, levels of training, types of certification and other achievements that will highlight your qualifications for the job. Remember that there are different types of nursing positions, designations and certifications. You have to be very clear about the type of license or certification you have as a nurse. In addition to qualifications that are directly related to the nursing profession, hospitals also want to see your affiliations. Specifically, they want to know if you are a member of any reputable nursing organization. Membership shows that you are serious about your future in the healthcare profession. Another item that you must include in your Nursing resume is proficiency in technology. Many processes in hospitals have been automated. Certification in healthcare- related IT software programs such as Electronic Medical Record (EMR), Electronic Health Record (EHR) and Epic Tech are highly valued skills in the nursing profession. When we think of nurses, images of a caring, person comes to mind. Indeed it is not just having the requisite technical and fundamental skill sets that qualify a good nurse. For the most part, the nurse’s personality and character come to the forefront whenever somebody describes an amazing nurse. In the Nursing resume objective, you should describe the personality traits that define you as the ideal nurse for the job. The verb “nursing” is associated with “caring”. We don’t pay much attention to the requisite skill sets that a nurse has. But we remember how the nurse carried out his or her work. Put it this way, how many ways can you perform an injection, set up an oxygen tank or administer medicine? But a nurse who conducts work in a friendly, cheerful but attentive manner can easily differentiate herself from someone who displays the opposite attributes. As mentioned, given the competitiveness of the industry, you cannot hold back on your resume. The Nursing Manager will place special attention on your Nursing resume skills section. From the outset, showcase all the certifications and trainings that you have acquired throughout the years. These certifications and licenses must be front and center in your Nursing resume skills section. Educational Attainment; there are nurses who did not finish college. Some finished high school and those who fell short by a few years could take the GED. A Nursing degree could be a Bachelor of Science or Bachelor of Arts; definitely, having a college diploma will give you an advantage over others that don’t. Certifications, Licenses; there are many types of nursing licenses and certifications you can take. Whether you are an RN, LPN or CNA you should indicate the license in your resume. Associations; it would also be a definite advantage if you are a member of a recognized nursing association. Hospitals view this as a sign you have serious intentions on building a life-long career as a Nurse. Computer training; the medical field has been automating many of its processes to increase work volume and reduce the risk of human error. It will be a big advantage if you can show the hospital that you took specialized courses in programs relevant to the healthcare industry. Honors, Awards, Citations; did you receive any special awards, mentions or distinctions as a nurse? If so, indicate these accomplishments in your resume! Were you part of a volunteer program or did you get involved in charity work as a nurse? These actions are typical of the selfless quality of nurses. People Skills; as a nurse not only will you be dealing with patients but you will also be working alongside other nurses, doctors and professionals in the healthcare industry. Empathy; the hospital is not a cheerful place. Patients would rather be elsewhere than confined in a cold, dark room. A good nurse is able to empathize with patients and knows how to make the experience more comfortable and pleasant. As you will observe from our Nursing resume example, these qualifications and skill sets are emphasized throughout its different sections. The hospital is the place best associated with nursing work but it is not the only avenue where you can find employment. There are clinics, private practices, government agencies and private corporations that regularly have openings for nurses. If you are looking for your first job as a nurse, cast your net over a larger ocean. Send out your Nursing resume to different companies, organizations and hospitals. As a nurse, your primary focus should be to gain experience. Start networking as early as possible. If you are serious in establishing a career as a nurse, you should build your connections while finishing your degree in university. Knowing people in the right departments in key hospitals can give you advantages over your competitors. You can get direct information on job openings and be among the first to apply. Networking is also important for experienced nurses. If you want information on job openings for higher positions such as Nursing Manager or Director, it pays to have contacts within the most prestigious companies. Finally, don’t forget to utilize the Internet in your job search. There are many online job sites that you can use to find nursing jobs. Among the best are CareerBuilder and Monster. Crafting a resume is not easy. You need to approach it with strategy, thought and purpose. Missing out key details can compromise your job search. The information we have included in our Nursing resume sample is as complete as a Nurse resume can ever get. If you follow our recommendations, the next job post you apply for could have your name on it. If this Nursing resume example wasn’t sufficient for you, you are free to review some other samples and templates from our site. Browse to some related resumes below and find your inspiration.